Easton Lodge Halt was sited on the down side of the line. The station was provided for the use of the Earl and Countess of Warwick who lived at Easton Lodge and for visitors to the house. Although the building of the station was partly financed by Lady Warwick it was not a private station however and was also open for public use. The platform was formed from earth on clinker with a timber facing. 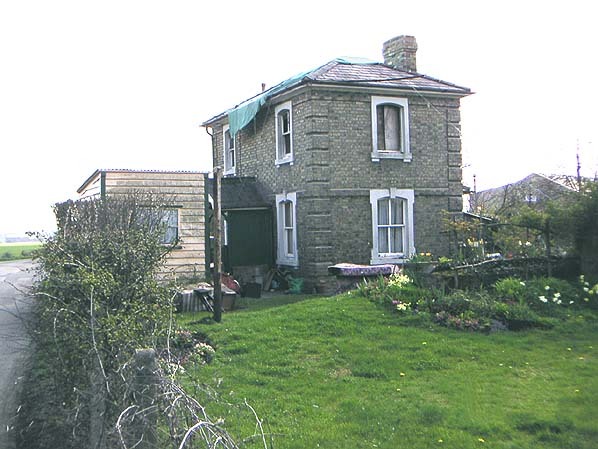 On the up side of the track adjacent to the level crossing there was a crossing keepers cottage built in a similar style to station buildings on the branch. Alongside the cottage there was a small wooden hut housing the locking mechanism for the gates and levers for operating the gate signals. 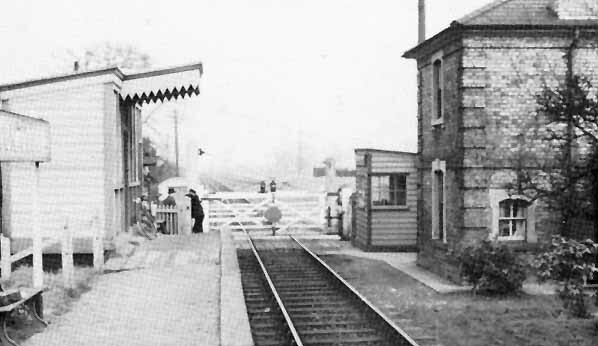 The station had a porter who also issued tickets until the 1920's, after that date tickets were issued by the guard on the trains. Beyond the level crossing a loop line was installed on the up side in 1942. From here loop a siding ran across the road serving the United States military store for Easton Lodge Airfield. After the war the siding was closed but on 1.3.1962 it was shortened and reopened to serve the Geest banana ripening plant, remaining in use until 17.2.1972. Although opened as a station, Easton Lodge had been downgraded to a halt by closure in 1952. 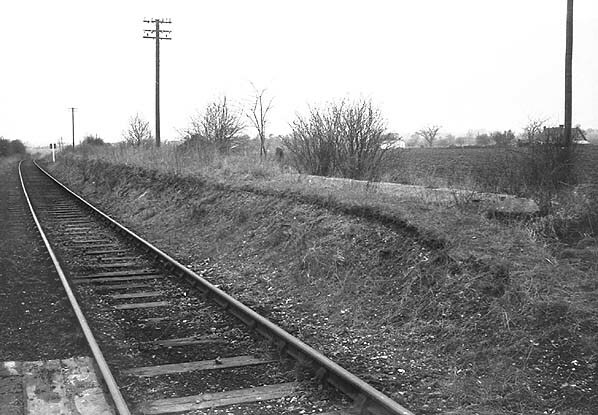 Easton Lodge Station in September 1968 - even before the line was closed to goods traffic the timber facing on the cinder platform had been removed.